This cartoon series which is currently being screen on ABC finally arrives on DVD, much to the joy of younger viewers. Probably one of the better cartoon series available due to the high quality of stories and relatable characters, Dragon Booster is a classic tale of order versus chaos. On this world, both mankind of dragons exist in unison, albeit set in mythical and futuristic inspired world. This is the third DVD in the series and revolves around a teenager named Artha Penn who may be a long lost relative of Arthur Pendragon, also known as King Arthur. Unbeknown to our hero, Artha Penn is actually fated to reunite the world of man and dragons. Eventually, Artha meets Beaucephalis or “Beau”, an ancient dragon and together, they become the ancient hero known as Dragon Booster and from there, a whole new world of adventures awaits them. Although the villains are over the top and their schemes are generally quite limited, this series is ideally written for children between the ages of 8 – 14, especially in terms of the great action sequences that looks quite colourful and sharp on the DVD. 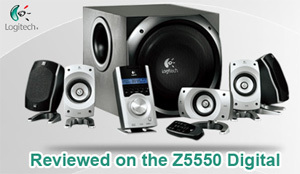 It features action, romance and comedy. 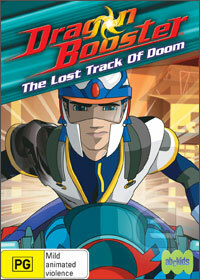 Running at 81 minutes, Dragon Booster – The Lost Track of Doom features all four episodes of the series.